ASD Healthcare is the largest distributor of blood derivatives, nephrology products and other critical specialty pharmaceutical products in the U.S. 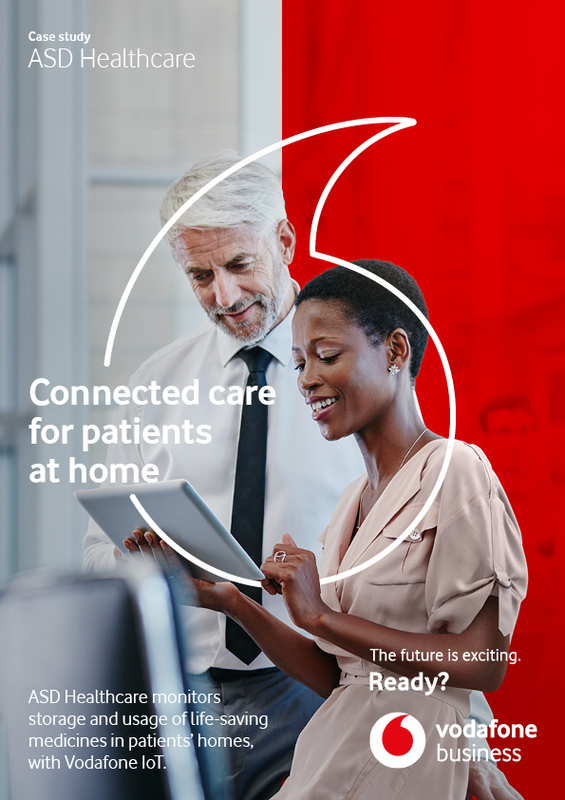 The Vodafone Managed IoT Connectivity Platform provides both the platform and the connectivity to accommodate ASD Healthcare’s global ambitions. It means ASD Healthcare has a single contract to manage with a global supplier, with reliable connectivity worldwide. All SIMs can be activated and monitored from one platform. "Vodafone have been great to work with, period. We’re certainly not one of Vodafone’s largest customers, but the service and engagement has been first-class. They’re highly customer-focused."